If you’re reading this, you have a brain. You may (or may not) use it to the utmost of your ability, but if your eyes are following this text, as you peer at your device or laptop or desktop monitor, your nervous system is working overtime shuttling information through your system, which most definitely includes your brain. 90,000 miles of nerves interconnect, both directly and through chemical synapses. 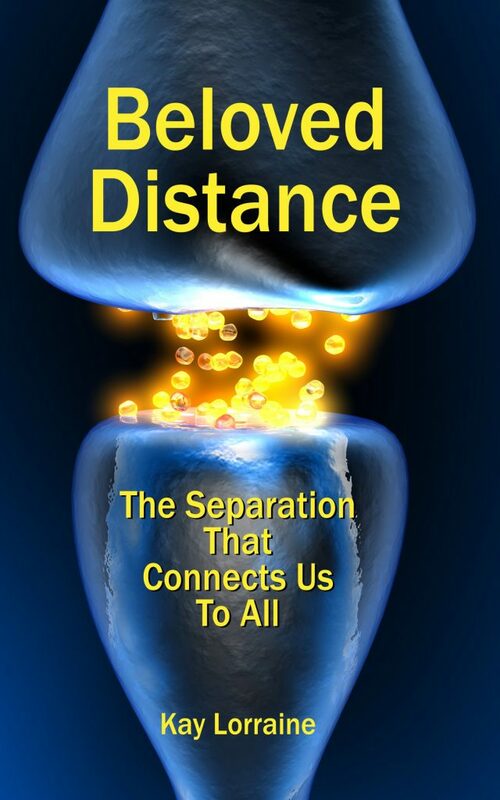 They bridge the distance between our skin and our spinal cord, between our internal organs and our cerebrum. Our whole system is afire with electricity and chemical reactions, with our billions of neurons firing some 200 times per second. And all the while, the brain is “unconsciously” making sense of it. As George Lakoff points out, an estimated 98% of thought is unconscious. If you think about how busy your “conscious” brain is, just imagine how much moreso is the rest of you. All that chatter and static between your ears is but a paltry 2% of the total thought activity going on. Right now. All the time. Okay, let’s come back now. The brain-body connection has been talked about for decades, now, very much in terms of mental health and physical health. A lot of us have reached the conclusion that of course the brain and body are interrelated. How could they not be? The brain is part of the body, and its processes are organic, as well as consciousness-related. The thing is, we seem to lose sight of this, when we think about our “higher mind” activities. When we get into philosophy and try to understand the nature of reality and our place in the world, we especially tend to split the brain from the body, like a space capsule leaving the rocket behind as it propels into the outer reaches of our cosmos. When we think long and hard about things, when we’re rapt with attention on abstract concepts. the very idea of the body seems to fade away. We forget to eat, drink, use the bathroom. We forget we have a body at all. But of course, it’s still here. It’s not going anywhere — especially when we’re wrapped up in higher thought. I usually think of Descartes, when I think of the brain-body split. Mr. “Cogito ergo sum“, who surmised that since he thought, therefore he was. Well, that’s fine. And certainly, it’s true. But I think it can also be said that “We think because we are.” So much of our physical systems are involved in thought, and so much of our systematic functioning is analogous to our thought processes, that the idea of neatly separating out the body from the mind and treating them as separate and distinct seems, well, very 17th Century. Of course, it feels a lot neater, if we can conceptualize thought as something that’s mind-based, rather than body-based. It’s neater, somehow. It feels… cleaner. But as we’re learning more (and more, every day it seems) how much of the body is involved in processing the information our brains work with, that sanitized neatness carries a significant cost to true understanding. And that costs weighs us down with the burden of ignorance — both passive and active — as we both overlook important considerations and also willfully ignore the physical facts right in front of us. In order to understand the workings of our minds, we have to understand the workings of the body. We have to understand how our nervous systems work, how they react and shape us in relation to the world around us. And when we understand the principles at work on the microscopic level, it gives us an added frame of reference, a finely tuned lens, we can use to gain greater insight into our innermost workings. He carried out pioneering neurobiological research, which was cited by Santiago Ramóny Cajal, the father of modern neuroscience, and helped to establish neuroscience as a discipline. See Freud was a pioneering neuroscientist at The Guardian to read the full (and fascinating) article. And just as debunked theories sometimes need a closer look, our favorite concepts sometimes need to be called into question. Like the idea that the mind and the body are (or can be) separate and distinct from each other. Like the idea that you can disregard the body when you’re engaged in intellectual activities. Like the idea that the mind can completely rule the body, or that the body must be overcome and made wholly subservient to the mind, in order for the human spirit to rise. All the undercurrents of hostility to the physique that trace through the Western tradition, seem pretty much like the product of people with some serious body issues. But of course, they weren’t alone. And their Körperfeindlichkeit (hostility to the body) filled a need in the Western psyche that didn’t have a lot of good things to say about the human body, until fairly recently. Fortunately, the trend is shifting, as more and more people are connecting body and mind in philosophical terms, as well as world view. And I find myself quite comfortable within this trend, albeit on the margins, since I’m not exactly up to speed on all the latest thinking. It’s been a long time coming — and about damn’ time, if I say so. From where I’m sitting / standing / working, it’s literally impossible for us to understand our place in the world or fully grasp the meaning of our existence, unless we factor in the body. It’s both a full partner in our thought process, as well as full of microscopic templates that can inform our macroscopic patterns. Our bodies guide us unconsciously, and when we engage with them consciously, they can enrich us even more. And now it’s time to get a drink of water. My brain can use the hydration. And the walk to the water cooler will do my mind good.